Although a course is listed, it will not be offered unless a sufficient number of students register for the course. Please reference the registration card. Classes are offered based on staff availability and expertise. Students in this course will enhance their abilities in line drawings, pen and ink crosshatchings, color stippling, marker rendering, collage making, watercolor and pastel painting. The principles of art and elements of design will still be emphasized. Art II complements Art I by continuing to enhance students' skills in line, value and color drawings as well as painting and sculpture. Life Skills is an introduction to skills needed for success in life. This course may include nutrition as it relates to physical and mental health, kitchen safety & sanitation, eating disorders, weight control, money management, time management, self-esteem, decision-making, career exploration and basic cooking skills. Additional units may include child development, interior design, cultural foods, personality traits and community relations/service. Demonstrations, group activities, food labs and cooperative learning experiences enhance the course. Clothing offers basic instruction in the areas of clothing construction, fabric arts, and hand and machine sewing techniques. Students will be required to sew at least one clothing item using a commercial pattern. Other areas of study may include elements & principles of design, color theory, fabric construction, grooming, wardrobe maintenance, cultural aspects of clothing and career exploration. 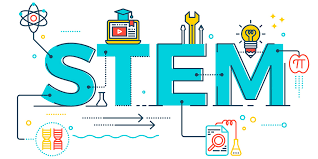 This course introduces students to STEM (Science, Technology, Engineering and Mathematics) experiences in a project-based environment and connects these experiences to the Arizona Mathematics Standards. Topics may include the use of computers in mathematical problem solving, technical writing and drawing, exploring and modeling linear and non-linear relationships, coordinate geometry (including Pythagorean Theorem and vectors), applications of fluid power, data analysis and statistics, critical thinking and questioning skills, and introductory finance and project management. This course is an introductory study of various aspects of theatre. Major topics will include acting, movement, stage vocabulary and oral speaking. Units of study will include monologues, skit writing, improvisation, theatre design, one-act-plays and creative dramatics. * No previous experiences is required and students will not be required to sing alone. This course is a study of intermediate music concepts: music reading skills with emphasis on solfege, vocal technique and performance skills. The purpose of this course is to encourage students to have fun while studying different types of music; including traditional, musical theater, jazz and other popular styles, as well as music in foreign languages. * No previous experience is required and students will not be required to sing alone. This course is a study of beginning and intermediate music concepts: music reading skills with emphasis on solfege, vocal technique with focus on the boy's changing voice and performance skills. The purpose of this course is to encourage students to have fun while studying different types of music, including traditional, musical theater, jazz and other popular styles, as well as music in foreign languages. * Previous orchestra experience required. This course is a continuation of intermediate scales, bowings and techniques including fourth position, as well as chamber music ensemble experience. Performance attendance is required. * Previous band experience required. This course is a study of advanced fundamental technical development and large ensemble performance. The major topics covered in this class will be Band Method III and traditional and contemporary band music. Other features of this course are participation in school assembly programs and evening concerts. This is for eighth grade students who have played their band instruments for more than one year. This course covers one semester dance, yoga and aerobics. Dance will focus on guided dances, line-dances and basic terminology. Yoga will concentrate on the development of core muscle groups with an emphasis of stretching and relaxing the mind/body. Aerobics focus is cardio-respiratory fitness. Racquet and Individual Sports is covered for one semester. The students receive instruction in rules, skills, and strategies associated with different individual and racquet sports activities. This class is CO-ED. Students will gain the understanding of muscle development and stamina, through weightlifting techniques. The implementation of safety and terminology will help students learn how to develop a weight training program. Fitness training will be included. Students will be evaluated on their own improvement and ability to construct and follow an effective personal workout plan. The course includes activities that can be used for lifelong fitness and recreation. Students of all abilities and interests are welcome. This is a CO-ED class. This course provides each student with the opportunity to participate in activities consisting of skill development, lead up games, individual and team sports, as well as, lifetime activities. The students receive instruction in rules, skills, and strategies associated with the different sports and activities. This course promotes the spirit of cooperation, leadership, fair play, and friendly competition. This course will focus activities such as: Lacrosse, Basketball, Softball, Soccer, Ultimate Frisbee, Volleyball, Handball, Football, Badminton, Archery, Dodgeball, and Floor Hockey. This class is open to 8th grade girls and boys. THIS IS NOT A CO-ED CLASS.